Enjoy free shipping for all domestic orders over $50. We try to offer the lowest shipping rates possible given the current USPS rates. ** We are not responsible for extra custom fees that may be charged upon receipt of the package. If there is a duty, it is the customer’s responsibility to pay. Life’s Entropy reserves the right to cancel any order. We are also not responsible for any lost, stolen, or damaged packages by USPS or your local postal service. 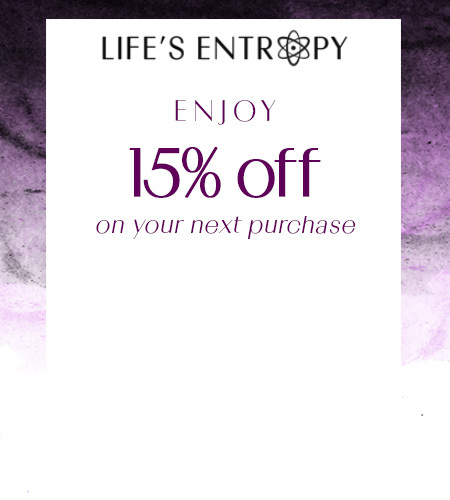 If you would like to purchase insurance then please contact contact@lifesentropy.com for an additional fee. Monday through Friday, 8:00 AM to 5:00 PM Eastern Standard Time, excluding holidays.